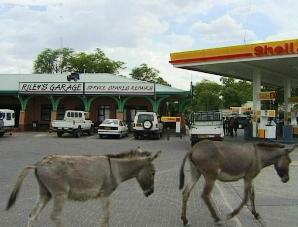 Maun - The Gateway to the Okavango. 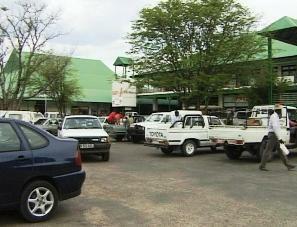 This buzzing town is the center of the tourist industry in Botswana. It boasts banks, supermarkets, specialized shops and takeaways, where you can obtain almost anything - including ice. At the service stations, which are well stocked with spares, qualified mechanics are available to assist you. 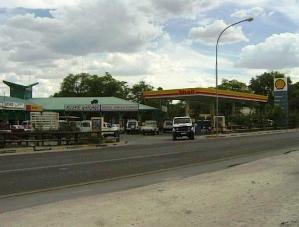 In case of an emergency, Maun also has a hospital, chemist and private doctors. 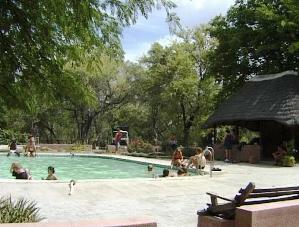 In and around Maun, various hotels and lodges with camping facilities can be found. 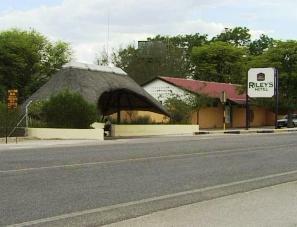 Riley's Hotel is located in the center of Maun. It consists of 32 air-conditioned en-suite double rooms, and 3 executive suites. There are 2 bars, an A-la-carte restaurant and a curio shop. A beautiful swimming pool is situated in the garden. 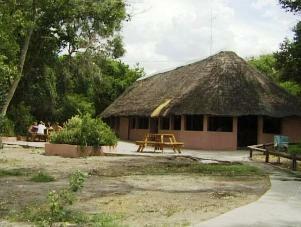 Island Safari Lodge is 12 km outside of Maun on the road to Moremi. It is situated on the bank of the Thamalakane River, which is dry most time of the year. The Okavango Delta as well as the Thamalakane River gets its water from the highlands of Angola where the rainfall is about 1500mm per year. This water flows for about 1 300km before it enters the Delta. Rains falling in Angola from September on, only reaches Maun between June and July. Only 3% of the water that enters the Delta, eventually reach Maun. 2% seeps into the sand and the rest is lost through transpiration and evaporation. At the lodge a cozy bar overlooks the Thamalakane River and a sparkling pool to cool off in, is available for guests. 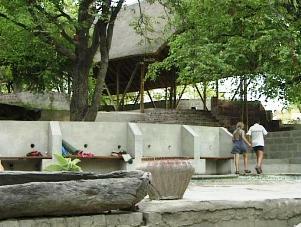 The accommodation consists of thatched chalets, with en-suite facilities. 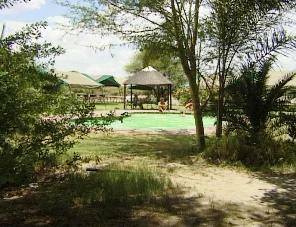 The shady campsite with good ablution facilities is situated on the banks of the river. Various activities, including Makoro trails, are available from the lodge. The restaurant offers an a-la-cart menu. Audi Camp can be found on the other side of the river. 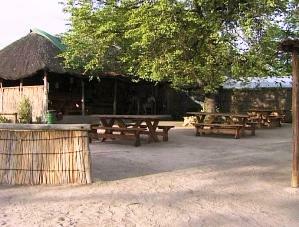 Apart from camping and ablution facilities, there is also a bar and restaurant. Already erected tents with mattresses are available. The pool is set on a terrace close to the river. All activities available in the area can be arranged through the camp. 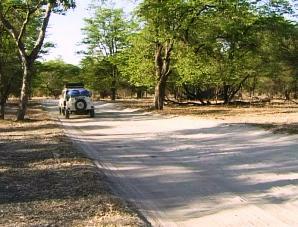 About 3km further, on the road to Moremi, the well-known Crocodile Camp is situated. 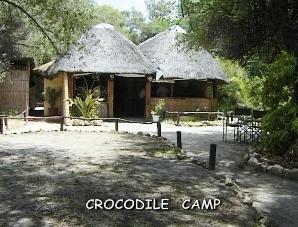 Crocodile Camp boasts a friendly bar and an excellent restaurant offers gourmet food for the hungry. A beautiful swimming pool is situated on the banks of the Thamalakane River. Neat, newly constructed thatch chalets with en-suite facilities are set amongst shady trees. Crocodile Camp is highly recommended and a visit is a must, as it is your last stopover before entering the Moremi Game Reserve. 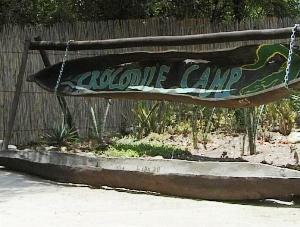 Crocodile Camp with it's friendly atmosphere also arranges safaris and various activities into the Delta. 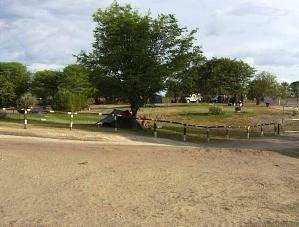 The camping site with hot showers and flush toilets is situated away from the river.